A DISASTROUS U-turn by the Junta has sounded the death knell for Andalucia’s high speed rail potential. The PP party has slammed the decision to scrap the rail link between Malaga and Sevilla as ‘ridiculous’. Some €280 million has already been spent on the line, including 77 kilometres of platforms to accommodate the AVE high speed trains. Embarrassingly, €180 million of EU funds already allocated for the project will now have to be returned to Brussels. The Junta will also now have to spend millions of public money landscaping a large amount of land that had already been dug up in anticipation of the rail link. At a press conference at Antequera’s Santa Ana station PP leader of Malaga, Elias Bendodo, described the decision as ‘lacking foresight’. 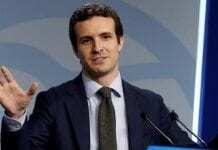 His colleague Juan Bueno in Sevilla also highlighted what he called the ‘inefficiency and ineptitude’ of the regional government and said that it was more interested in ‘posturing that in the service for its citizens’. The scrapping of the line comes after the Junta admitted it did not have the money to complete the project. Spiraling costs have meant that the Junta is unable to provide the €800million needed to complete the line. Great! This will make space for another Via Verde. What’s new? If only politicians here in Spain, the UK, USA, et al. had some practical BUSINESS experience instead of going from university directly into politics – with no responsibility for their errors. No wonder what we “get” in office.